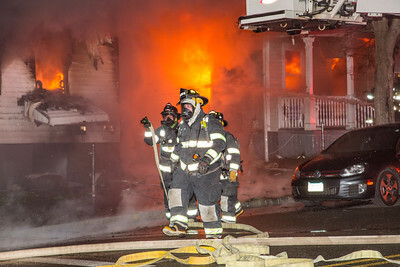 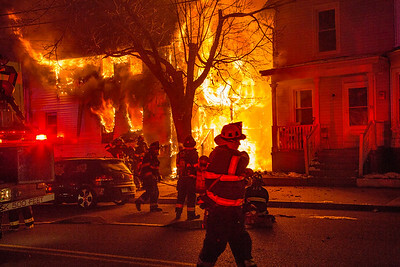 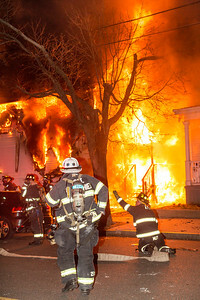 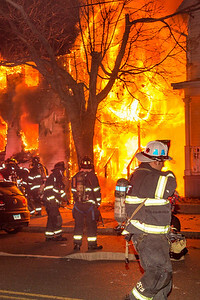 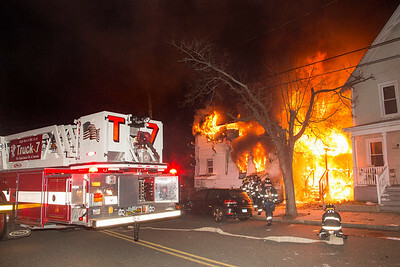 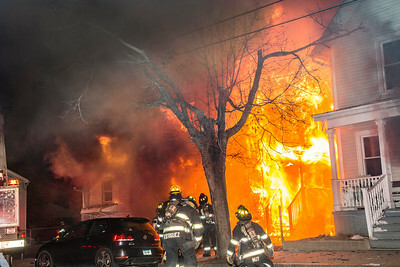 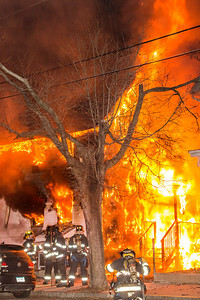 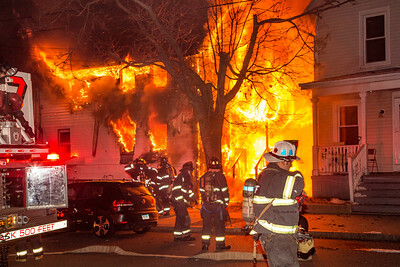 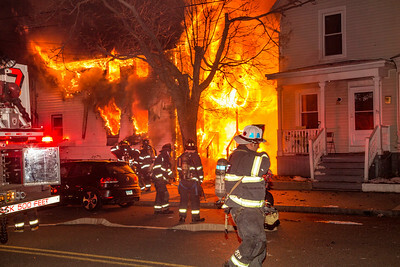 ANSONIA, CT - At approximately 10:30pm on March 10, 2017, the Ansonia Fire Department was dispatched to the corner of Fourth and Liberty Streets for a reported structure fire. 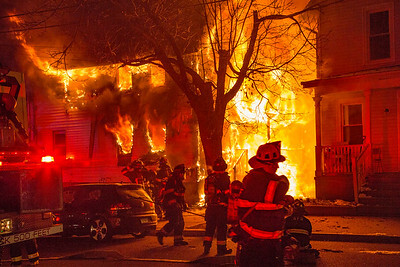 First units on scene found a heavily involved 2 1/2 story wood frame located at 122 Liberty Street quickly exposing to 55 Fourth Street, another 2 1/2 story wood frame, due to the heavy fire and wind conditions. 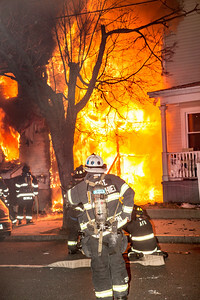 Firefighters remained on scene throughout the night in frigid temps. 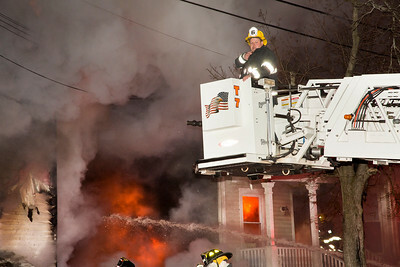 No residents were reported injured from the fire, but there were reports that two dogs had perished. 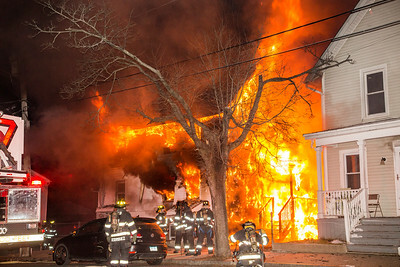 In all, approximately 22 people from 5 families were displaced by the fire. 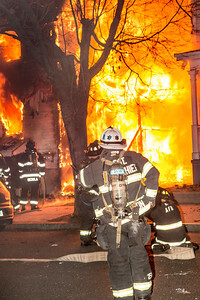 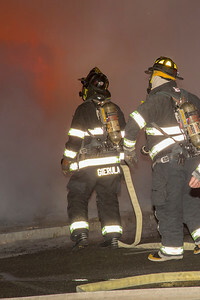 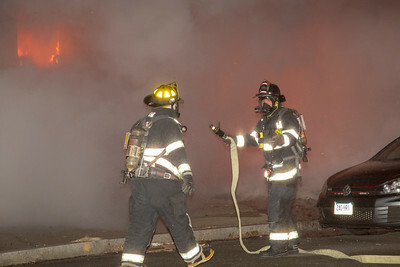 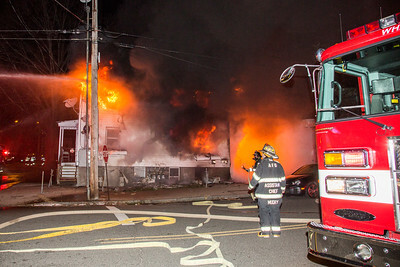 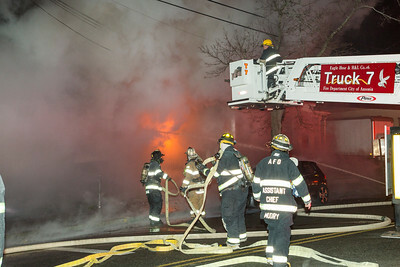 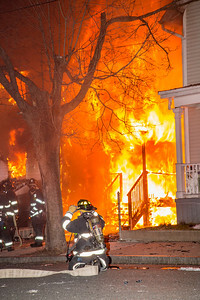 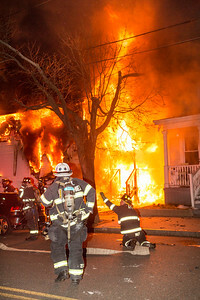 Firefighters responded mutual aid to the fire scene from both Derby and Seymour.